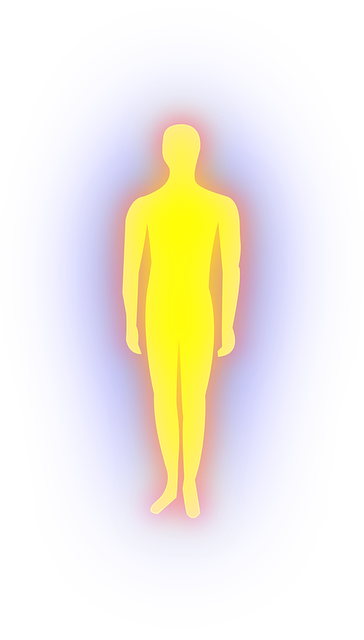 Auras r an energy field that is around ur body. There many levels of auras U have a physical, emotional, spiritual, mental, and soul age level that r the most important ones. Colors that r close around the head and shoulders reflect an individual’s state of consciousness. If the color appears around the body but, well away from it; it usually reflects the person’s life or environment. To see an aura. Have someone sit in front of a wall that is painted in a light color like yellow, white, beige, gold in color. Have a lamp with its light shining on the wall close to where the person is sitting. Then have the person who is going to read the aura begin to stare at the top of the person’s head just around the crown. Just stare relaxing ur eyes like u r going to daydream. Ask the client to pretend they r breathing in positive energy and taking the air into their head to blow up their aura and make it bigger. As the person who is going to read the aura stares at the spot right above the client’s head….have the client move quickly to the side while the reader remains focused on the sport where the client was. U will then see energy right above the client’s head. It will look very faint and remind u of when it is hot in the summer and u see the heat rising up off of the road. Just kind of wavy little energy. As u look, ask what color u r seeing if u don’t see the color right away. U will telepathcially hear an answer in ur mind. AND u have just seen an aura. Now here is a brief run down of what the colors mean in an aura. Be patient, this may take some time before u see the colors. But, u can always ask and get them. AND mine have always been very pale. I don’t see them real plainly. Just lightly. GOLD – High level spiritually. Lots of spiritual wisdom. SILVER – Idealistic, trustworthy, sincere. WHITE – Pure and innocent. Clarity of motives, honest. balanced. PURPLE – Spirituality, deep thinker. Prophet associated with psychic intuition. BROWN – Practical and down to earth. GRAY – Business like but worried. May be getting sick. Mental problems. BLACK – Pressure, tension, injuries. Dark side and can ber manipulative. OR – can be dying. RED – Energetic, vitality ,strength, DARK RED – angry, hateful. PINK – Sweet and loving. ORANGE – Charismatic, courageous and may be facing some kind of challenge. YELLOW – Has insight and is cheerful. Very perceptive. Associated with psychic vision. GREEN – Growth, teaching ability, regeneration, healing and a new beginning after an illness. Plus DARK OR MURKY GREEN – jEALOUS. BLUE – Sensitive to feelings. Caring and peaceful, harmony, calm. Or sad and feeling down. This color is also associated with psychic feelings…as in empathic.